BAG PIPES FRIDAY @ NOON!!! Base price includes main dish, two side dishes, and fresh baked garlic-parmesan rolls. Additional sides are available for $1.95/person. Appetizers and desserts are $2.95/person. Buffet style service includes plates, napkins, utensils and condiments. Drop-off & pick-up options are available. In addition to our regular catering menu, we will be offering holiday inspired items for a limited time. 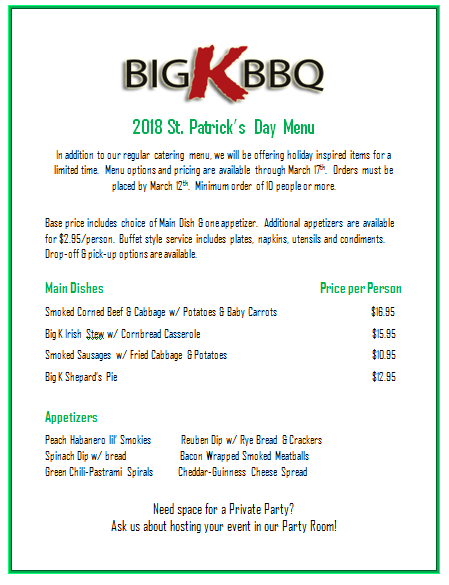 Menu options and pricing are available through March 17th. Orders must be placed by March 12th. Minimum order of 10 people or more. Base price includes choice of Main Dish & one appetizer. Additional appetizers are available for $2.95/person. Buffet style service includes plates, napkins, utensils and condiments. Drop-off & pick-up options are available. Download this menu as a PDF. Need space for a Private Party? 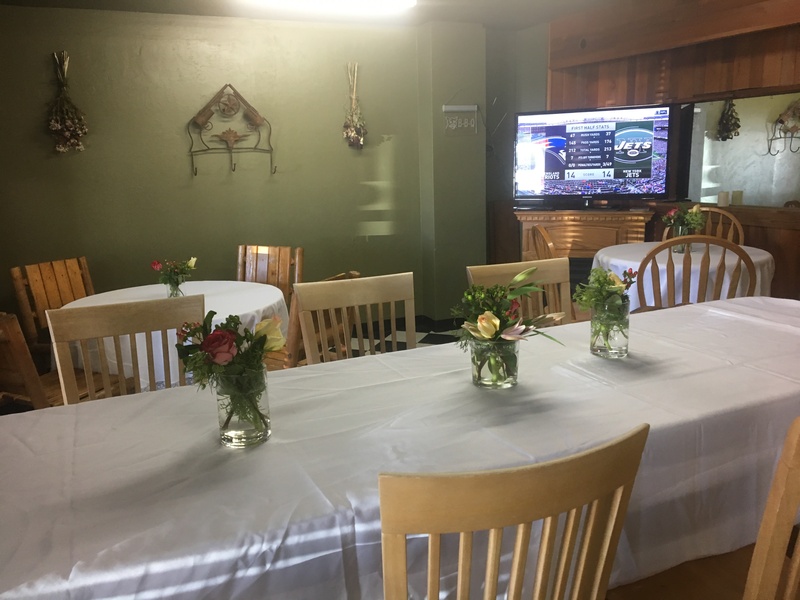 Ask us about hosting your event in our Party Room! In addition to our regular catering menu, we will be offering holiday inspired items for a limited time. Menu options and pricing are available from October 2017-January 2018. Click here to download the Menu as a PDF. Base price includes choice of two meats (prices are averaged) and two sides. Additional sides are available for $1.95/person. Appetizers and desserts are available and priced based on selection and quantity. Buffet style service includes plates, napkins, utensils and condiments. Drop-off and pick-up options are available in the Treasure Valley area. 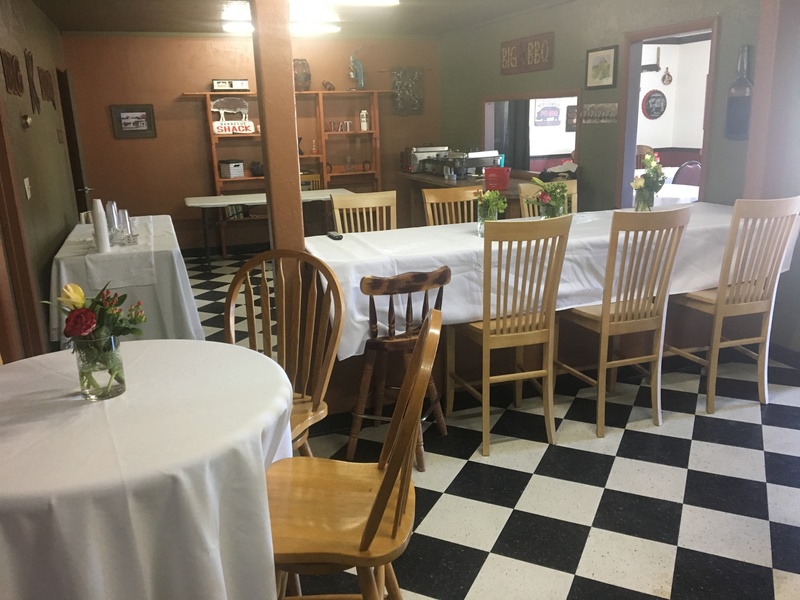 Need space for a Private Party? 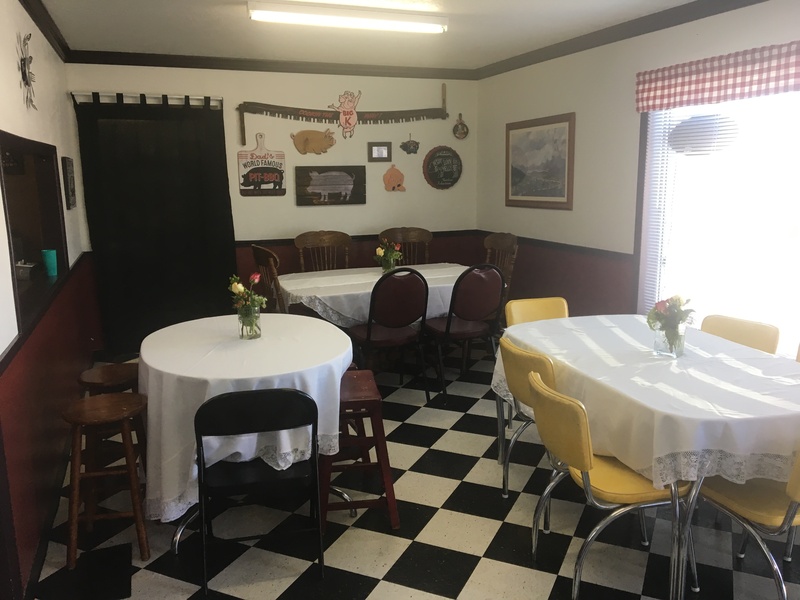 Ask us about hosting your event in our Party Room! Our casual atmosphere will make everyone feel at home. 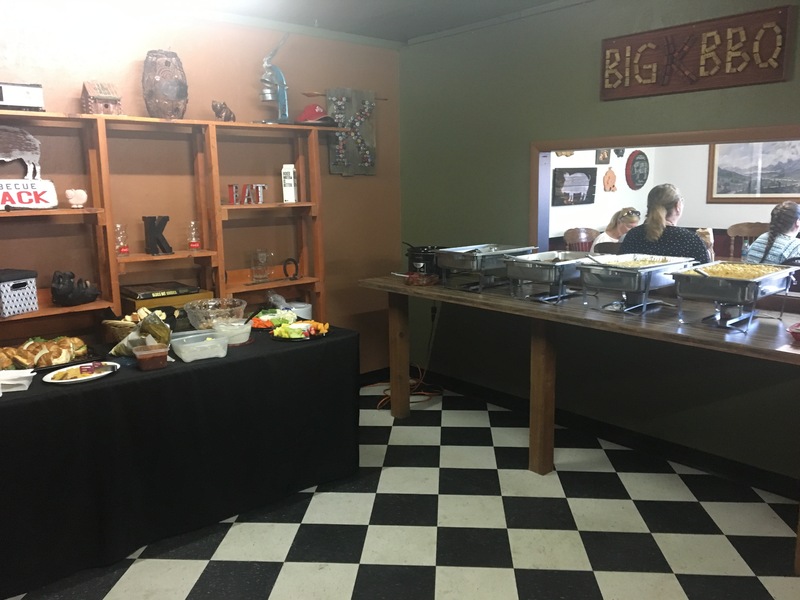 We offer buffet-syle set up, and have room for 25-30 people.